It came as quite a surprise to discover that the renowned French actress Sarah Bernhardt – at the time considered the most famous actress in the world – had been amongst the residents of the Lock-Up. She’d had her leg amputated in 1915 after suffering ten years of acute pain resulting from an injury sustained on a tour of South Africa. When gangrene set in, she demanded that the leg be removed – something her surgeons were reluctant to do as they didn’t want to be the doctor who killed the great Sarah Bernhardt! She eventually got her way, and refused to let her disability stop her performing, stating that she’d ‘strap herself to the scenery if need be.’ She continued touring Europe and the USA (crossing the Atlantic despite the ever-present threat of U-boat attack), as well as performing to French troops at the Western Front. Sarah was also unusual in that she decided to manage her own career. With the help of the British impresario Edward Jarrett, she toured the world several times – with her 1891 tour of Europe, Russia, North and South America, Australia, New Zealand, Hawaii, and Samoa reportedly earning her 3.5 million francs. She went through several fortunes during her lifetime, investing in two theatres, supporting her large entourage, repeatedly paying off the gambling debts of her illegitimate son Maurice, as well as being incredibly generous to those she loved by showering them with lavish gifts and property. When she ran out of money, she simply went back on tour! There’s nothing like a ghostly Victorian building, echoing with strange tales and past voices, combined with the rampant enthusiasm of other BOLDtext writers, to give you Writer’s Block. Where to start? The Lock Up practically oozes Brummie history – countless possibilities of character, story, theme, era (it only closed two years ago!) – plus there’s the added question of setting. Which corner of this fascinating Victorian building should I focus on? Whose experience in this place can I depict? We really want to feel the Lock Up burst into life. Lucky for me this wasn’t my first time in the Lock Up on Steelhouse Lane. Before you ask, no I wasn’t there as an inmate! In fact I attended a wonderful presentation by the Ikon Gallery relaying research conducted by the late Pete James, Birmingham’s foremost photographic historian. The talk was about the history and role of photography in our region’s policing – from mugshots to surveillance. 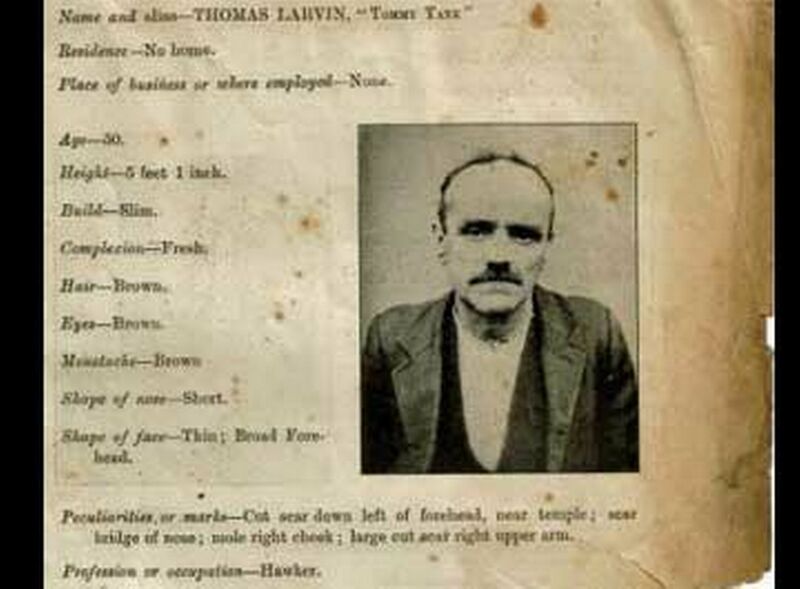 Turns out we practically invented mugshots in Birmingham. Who knew? So when I stood again in this eerie building, tasked with creating a very short but meaningful piece of theatre that could mesh with other writers’ stories, my mind flew back to that lecture. A police photographer could be my focus, someone who was a vital part of the fabric, actively participating in an offender’s journey through the Lock Up. And that’s when Detective Charles Muscroft, ARPS, stepped into the light. Down-to-earth Yorkshireman Charles Muscroft (above) was a CID officer turned police photographer, based at the Lock Up from the 1920s. He embraced his role with dedication and delight, producing hundreds of perfectly crafted ‘mugshots’ over his career. He regularly gave lectures to local photographic societies and even offered his ‘portrait services’ to the general public! 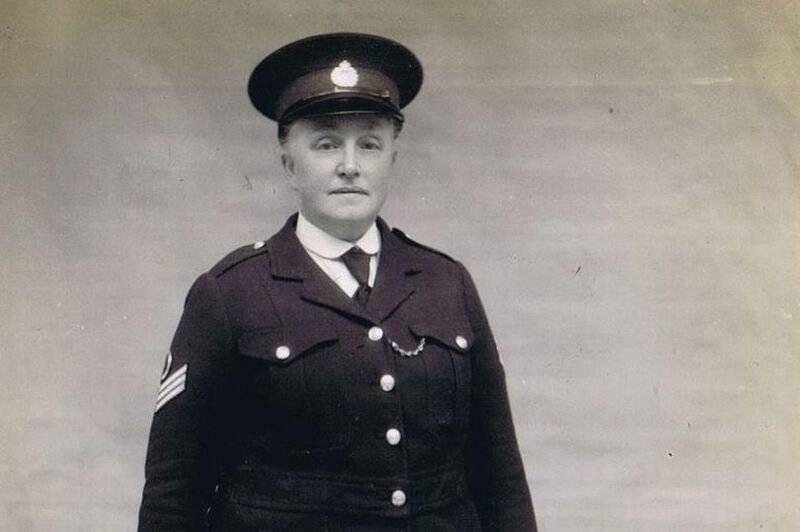 When he was awarded Associateship of the Royal Photographic Society in the 1930s, he was overjoyed – despite his exemplary record as a Birmingham City Police Officer, he viewed RPS recognition of his professional photographic talents as the ultimate accolade. As a playwright, I was fascinated by the quiet intensity with which Muscroft undertook his work, and his unshakeable love of his ‘art’ even when he was having to photograph dangerous offenders and gruesome crime scenes. Behind Bars, Ghosts of the Lock Up from BOLDtext Playwrights runs 19-21 October at the Lock Up on Steelhouse Lane, Birmingham. Supported by Arts Council England and the Sir Barry Jackson Trust. If you’re interested in Mugshots and their history, take a look at Under Arrest by Giacomo Papi – a collection of mugshots of celebs like Hugh Grant, Al Pacino, Ozzy Osbourne and Janis Joplin; prominent figures like Martin Luther King, Bill Gates and Fidel Castro; as well as notorious names like Joseph Stalin, Saddam Hussein, Ronnie Biggs and Lee Harvey Oswald. This autumn we’re taking a brief hiatus from doing shows at the brilliant Birmingham Rep to tell the story of the city’s old Victorian Lock-Up. Since 1892, tens of thousands of people have passed through the jail on their way to court, prison or even the noose. What brought them to this desperate point in their lives? And what memories have they left behind? BOLDtext’s writers will resurrect the ghosts of The Lock-Up’s past, summoning them back to the cells, stairways and corridors where they once walked. As you move around the building you’ll meet robbers and drunkards, prostitutes and murderers, as well as the policemen and pioneering policewomen who held the keys. Beware! The past still has lessons to teach us. Those who dare to enter The Lock-Up get taught those lessons well. Duration approximately 1 hour. Not suitable for children under the age of 12. Please be advised the Lock-Up is an old building and is not equipped with modern disabled facilities. Flat shoes are advised. Presented in association with the West Midlands Police Museum.